Well maintained Lakewood Fleetwood home with only ONE owner. All furniture and appliances go with the sale. Views from the front deck to the western mountains and forest. 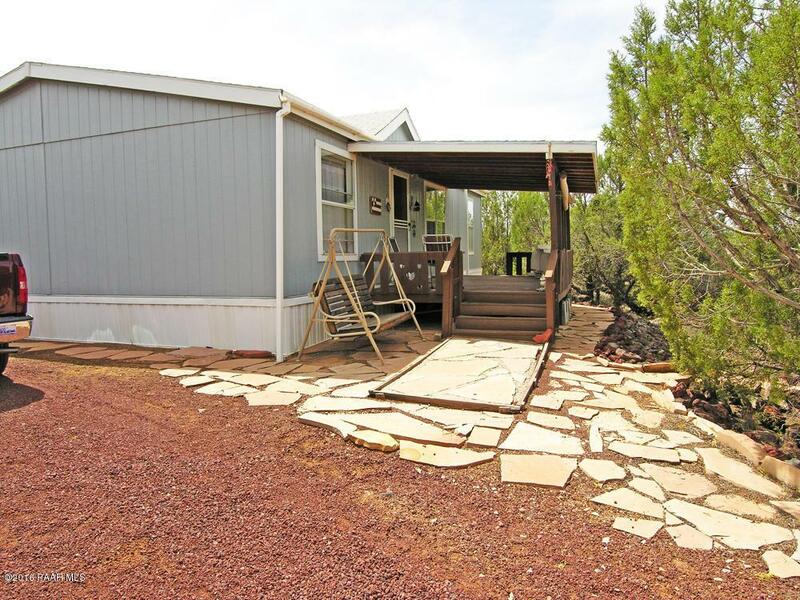 Home was freshly painted 2 years ago, has two decks, wood floors, skylights,walk in closets, 5000 gallon water tank,heat vents under house, 12x14 storage shed(with garden tools) also stays. 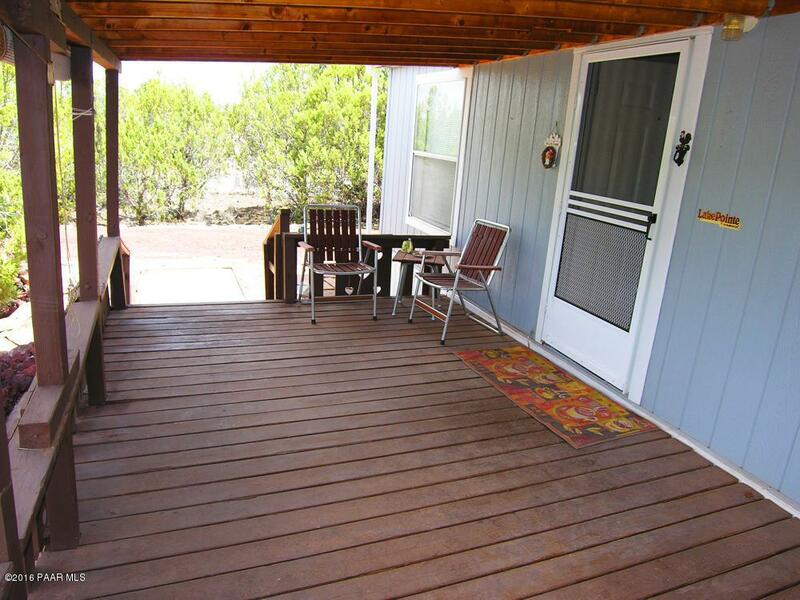 Property is completely FENCED in and gated. 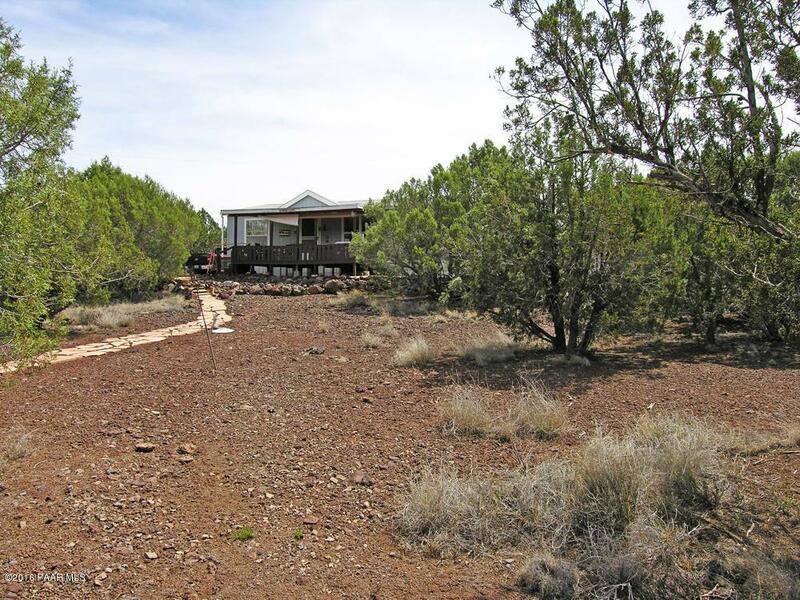 There are flagstone steps around the house and in many areas for walking the property plus a nice area for RV parking. There are two window AC's in place. Seller has taken nice care of this property. This is a CASH sale only. 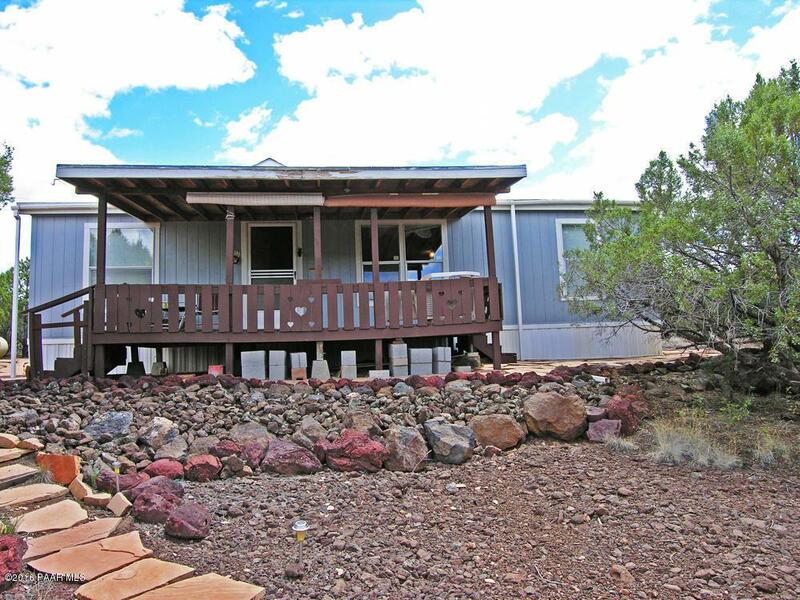 Listing provided courtesy of Carol Coates of Realty Executives Northern Arizona.